Triple action coverage foundation, moisturiser and sunscreen in one. With just a hint of colour to even the skin tone and give a healthy glow, this oil-free foundation also lightly moisturises and protects. Giving you the natural shine-free finish you want for your complexion, this lightweight formula contains oil absorbing mineral and micronised pigments for smooth even coverage that lasts all day. 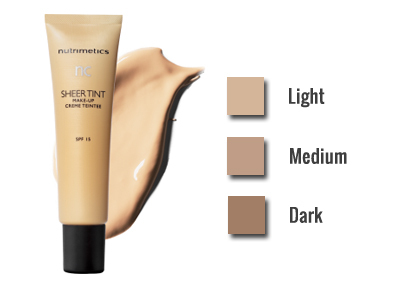 Light to medium coverage. 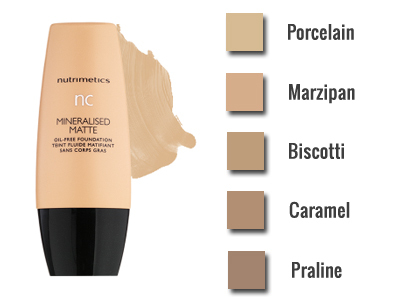 This light moisturising foundation glides over the skin to create a seamless veil of perfection. Leaves a smooth natural glow as if you are wearing no foundation at all. This ultra-fine powder scatters light around imperfections, minimising their appearance: while specially coated pigments repel oil and moisture and 'set' your make-up for the day.